When it comes to corporate catering, Los Angeles is the mecca for many large and small corporations, offices, and companies; all with a number of dedicated and promising employees. Corporate events like meetings, conferences, employee parties, company lunches, and team building events are necessary for the growth of a company. So what do all these events have in common? Food and lots of it. Corporate catering is more ways than one vital to a company lunch or event. The workplace culture is only improved with team events and lunches, so great food is essential. Luckily, Benny’s Tacos is a refreshing local food eatery that offers spectacular Mexican food at their locations and in their catering. We have brought our excellent catering services to many companies around the LA district and love to continue this service in the future. Here is what we can offer and why our corporate catering service would be the right option for companies and employees. Sometimes, employees from big companies are tired of eating at the same cafeteria food during lunch hour, everyday. Or they won’t have the time to bring a home lunch in the morning because of LA traffic. A company that picks a special day to offer catering of brand new food is a special gesture to all who work there. The workplace culture is definitely improved when all workers get together and eat together at work. This creates friendships and better collaborations. Furthermore, ideas can be thrown around and work flow could be refined when employees are chatting in one area. A company;s employees will also realize how much they are cared for and feel like their work is paying off. The keys for a successful corporate catering are simple: scrumptious food, easy to eat, and fresh quality. 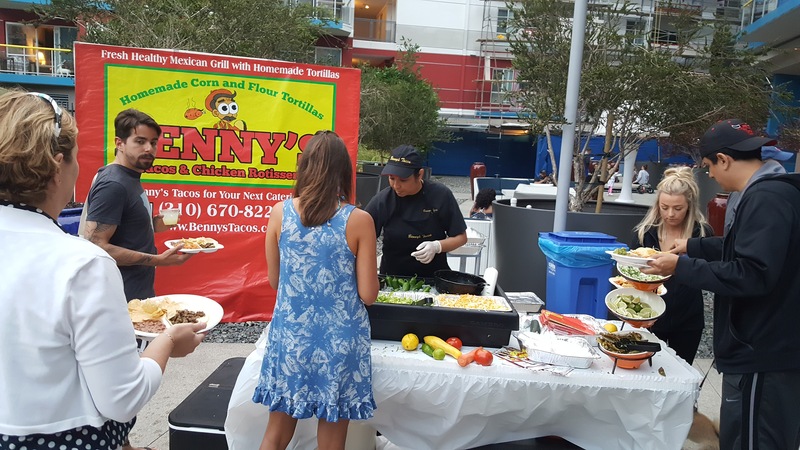 Benny’s Tacos is proud to offer Mexican catering services for all corporate functions, lunch meetings, and parties. We will supply our guests with a fresh array of authentic Mexican dishes; from rotisserie chicken, handmade tortillas, tacos, fajitas, and more. Our catering menu can feed at least 15 people and can be arranged at least a day in advance. Some of our returning catering customers that have thoroughly enjoyed our services include Google, Yelp, Hulu, Sony Pictures, Boys & Girls Club, Univision, Fandango, LMU, Otis, and more. Now that you know the benefits of organizing a company lunch and event, it’s time to start planning. Your corporate catering will be in good hands and worthwhile for your company and your employees. Call Benny’s Tacos at 818.612.3875 for any inquiries that you might have. When someones thinks of the summer heat in California, he/she usually wonders about what cold foods to eat to help cool down their bodies. What is actually true is that spicy meals can also help cool you down during a hot, summer day. Another true thing is that we can always rely of Mexican cuisine to deliver us delicious and spicy flavors to their dishes. However the question remains, how does spicy meals and Mexican food help us cool down in the hot air? Mexican cuisine is not traditionally spicy overall. Although, they do incorporate spices, peppers, and chiles in a lot of their meals, sauces, garnish, and salsas. Depending on the region, the food may be more spicier than others. Since chiles are well-grown and are abundant in Mexico, they are cultivated often in the kitchen. Chili peppers also help to preserve food and prevent spoilage on others. All in all, even though Mexico has one of the hottest climates in the world, the people and the culture still loves to eat their spicy meals all through the year. How Do We Cool Down by Eating Spicy? So why are people eating spicy foods in scorching hot weather? Are they crazy? Not really. According to nutritionist Diane Radler, spicy foods will make you sweat, thus ultimately helping you cool down faster. Let’s get more scientific. Eating and drinking cold items like ice cream or an iced tea will certainly cool you down on a hot day, but it won’t last long. Because the internal temperature in your body cools fast, your body compensates it by raising your temperature. The effect of spicy food is that it will also raise your internal temperature. Once the moisture from your sweat evaporates, you’ll be all cool and cozy. Los Angeles is the next best thing to Mexico when it comes to finding incredible Mexican cuisine. Benny’s Tacos is delightfully one of LA’s Mexican eateries that offers delectable dishes of the culture. Of course we love our food spicy as well. Our Fajitas adds much savory spiciness to your meal, consisting of a mix of meat, onions, cilantro, pico de gallo, and fresh bell peppers. Or order up a plate of Nachos or Supreme Fries. Both arrive with a little bit of zestiness and jalapeno along with it. There is always a presence of spicy to most of dishes due to our red sauces and salsas. June marks the official beginning of the hot summer, but don’t that stop you from enjoy your favorite spicy meals. 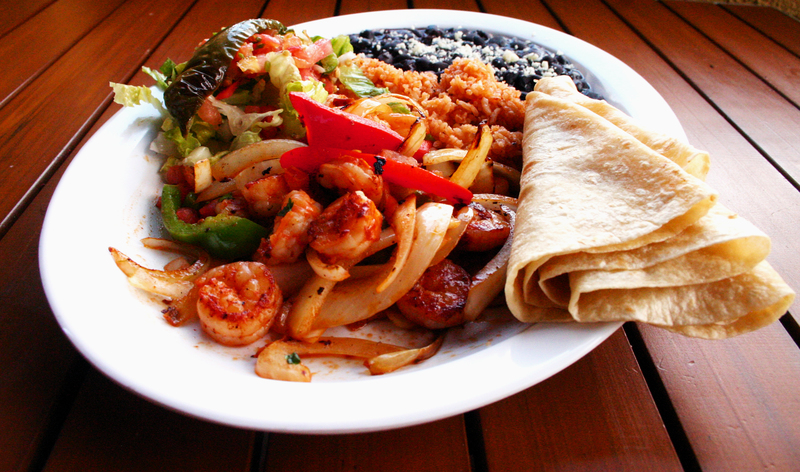 Cool down with some good spicy meals at Benny’s Tacos, we can’t to see you again. Celebrate Cinco de Mayo with our authentic Mexican food! 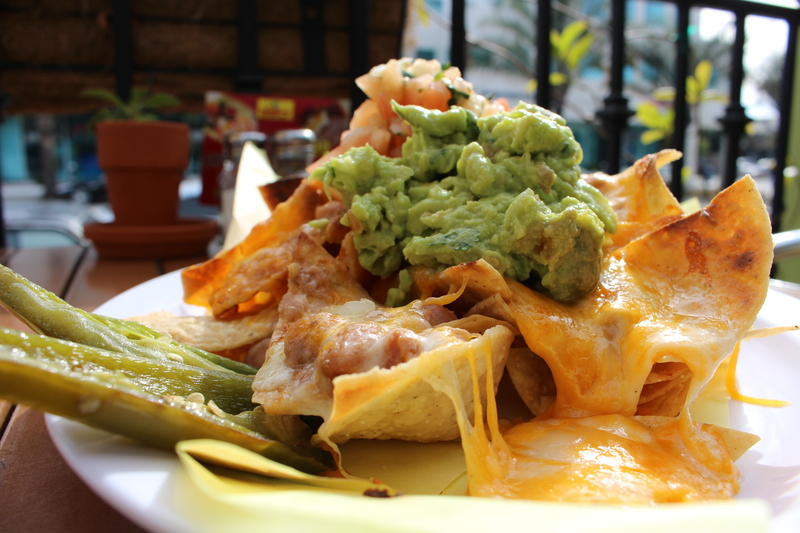 With two locations in West LA (Westchester and Santa Monica) we’re the perfect destination to fiesta. Mexican Independence Day, which people often confuse with Cinco de Mayo, is actually on September 16th. Cinco de Mayo celebrates the Mexican Army’s 1862 victory over France at the Battle of Puebla. Over the years it has turned into a celebration that includes parades, mariachi performances, and street festivals. Since LA is heavily diverse there will be plenty of places to commemorate the holiday. We at Benny’s Tacos cherish our Mexican heritage and want to offer a great dining experience for anyone looking to join in the festivities. Our authentic Mexican food menu has traditional items that you’ll find at Cinco de Mayo celebrations like tacos, burritos, quesadillas, fajitas, nachos, and more. We also cook mouth watering rotisserie chicken (slow-cooked, hormone free, marinated with garlic and special herbs) that you can order whole, half, or quarter. Want it in a wrap? Our tasty chicken wrap comes in a fresh flour tortilla with lettuce, avocado, or guacamole, cheddar/jack, with chipotle sauce or sour cream. Last year, we joined the rest of Los Angeles in the festivities, and celebrated Cinco de Mayo with a special, three tacos for $5.00. And because the special was a hit we wanted to celebrate with another special. This year we chose to do a special three fresh Baja Fish tacos, topped with avocado and chipotle sauce and a side of tortilla chips for $6.99. This year’s Cinco de Mayo special will not only be available for one day, but throughout the month of May. So come out and celebrate with us. In Westchester we’re located at 7101 W. Manchester Avenue. In Santa Monica we’re located at 915 Wilshire Blvd. Can’t make it to Benny’s Tacos? Don’t forget we offer our authentic Mexican food in delicious platters with our professional catering services too! It’s hard to conceive that we now live in a era of restaurant apps, where we can simply order food delivery by pushing a few buttons on your phone. Boy, we have come far from dealing with phone calls and busy signals for delivery. In any case, you have, no doubt, heard about online and mobile food ordering services such as GrubHub, DoorDash, Eat24, and UberEATS. These new, innovative gems are dedicated to preventing those typical ordering pickup and delivery hassles like bad phone reception, miscommunication, wrong food orders, and recieving the wrong info. They are also utilized by more than 20,000 restaurants in more than thousands of cities. At Benny’s Tacos, with two locations in Santa Monica and Manchester, we are extremely fortunate to have all four restaurant apps available for our patrons. LA life can be a bit difficult when it comes to getting the food you want. During the normal “9 to 5” work week, traffic is horrendous. Eat 24, DoorDash, GrubHub, and UberEATS makes life simpler with easy accessibility. With a few simple clicks, you won’t have to worry about dealing with other people, you can sit back and relax until your meal arrives. Eat24 is service supplied by Yelp to help cater to all the foodies and the local restaurant in your neighborhood. DoorDash is a quick delivery service that is enlisted by your favorite local restaurants. GrubHub is its own entity that has been providing efficient food delivery and pickup for over 10 years. UberEATS is a brand new service that works like Uber, delivering your food straight to you by pin, wherever you are. Both Eat24 and GrubHub is available to cater both of our locations, but UberEATS is currently for our Santa Monica location. Our full menu is on demand, along with other options and space to input your special preferences. If you also have special instructions for delivery, feel free to input that as well. In addition to our regular menu, our catering and family style platters will be offered through these amazing apps. Our food can be ordered through the computer or through the app on your mobile phone. These restaurant apps are totally free and very easy to access. Only thing to note is that the range of these services, from the restaurant to your location, is limited to a certain amount of miles, so make sure the restaurant is somewhat near you. Your food is strictly designated to be delivered within the hour . Furthermore, the apps offer great deals and exclusive offers that are displayed clearly on screen for users along with live chat, email and efficient phone support 24/7, if there are any issues that occur. Whether you’re looking to order catering, big family meals, or just a couple meals; our online ordering options will have them all available for you. Even when your meals are being delivered, we guarantee hot and fresh food as you open them. There’s no better option to have, especially if you are in the jam-packed Santa Monica and LAX area that our locations reside in. Try out these fantastic restaurant apps out today! Benny’s Tacos is located on 7101 W Manchester Ave in Los Angeles and 915 Wilshire Blvd. in Santa Monica. Benny’s Tacos has long established a recognition of catering towards the community, both in Santa Monica and West LA. The truth is that these communities are also full of healthy and loving residents with many families and friends. Perhaps you know that Benny’s Tacos offers exceptional catering for large parties and functions, but let us tell you a brand new feature that we have began in the new year. We are happy to announce that Benny’s Tacos is now featuring a great family style service within our exceptional delivery and catering services. Family style is perfect for those small gatherings and dinner parties, for up to 6 to 8 guests. 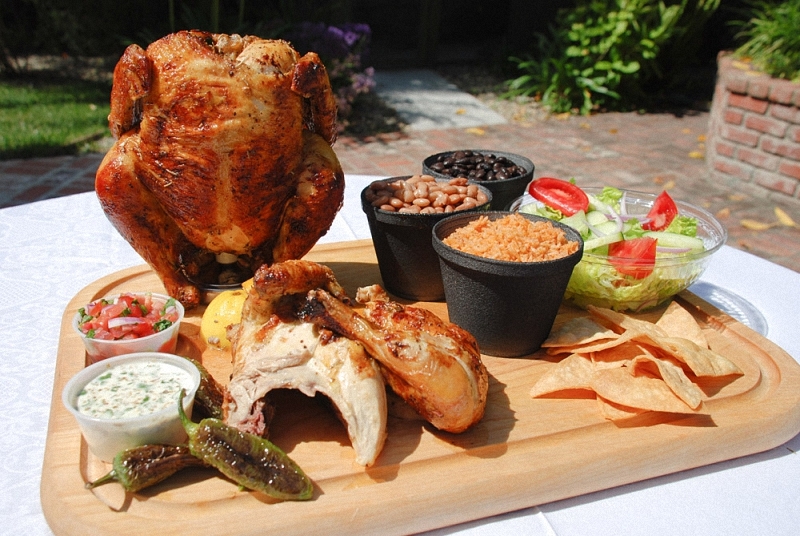 Every platter on our family style service menu is a culmination of our best ingredients and classic Mexican nourishment. Family style is a classic style of dining and serving of food for which guests share and serve themselves from food put on the table. This is also a more suitable form of dining; rather than having one serving from a single choice, you have the chance to try different meals and share with the whole family. We are currently offering six spectacular platters on our menu. They are each highlighted by a some of our signature dishes like Tacos, Rotisserie Chicken, Burritos, Quesadillas, Fajitas, and Vegetarian Burritos. They are all complimented nicely with our rice, pinto, or black beans, guacamole, salsa, romaine lettuce, and pico de gallo. The catering and delivery services at Benny’s Tacos and Rotisserie Chicken only brings the freshness to our guests. We’ll make sure that your family style service platters will be delivered on a timely manner while still being hot and ready for serving. Family style platters will be ideal for game watching parties, picnics, and backyard parties. For more inquiries, contact manager Severiano at 310-670-8226 or our owner Benny at 818-612-3875. Now that we are located on West Manchester Ave., we are in a prime location that is a mere few blocks away from the grand LAX airport. We are happy to constantly welcome many of our regular diners as well as open our arms to new ones. Benny’s Tacos is a firm believer in contributing to the community and lending our thanks to our neighbors. We are so grateful for having such great people near LAX to come eat with us everyday. To show our gratitude, we want to acknowledge that we still offer a special LAX employee discount on all of our great food. The Los Angeles International Airport is home to hundreds of dedicated employees who continue to ensure that thousands of travelers get to their destination safely everyday. The airport is also full of shops and restaurants, but for employees, it might be too busy for them to unwind and eat whether its on their way to work or at the end of it. The hundreds of LAX’s hardworking crew will only have to travel two miles or less to get to Benny’s and be treated to a 10% off LAX employee discount on their entire bill when they present their ID card while dining in. Sometimes employees need to take a break somewhere outside of the familiarity of their workplace and Benny’s Tacos is the perfect locale for it. The Rotisserie Chicken are among the very best! LAX constantly has a foot traffic of more than thousands of passengers over-crowding walkways, transforming the food courts into a can full of sardines. Benny’s Tacos offers a spacious vicinity with a welcoming, friendly vibe, only bested by the flavorful diverse menu. From fresh Rotisserie Chicken to delicious tacos, we will be happy to provide all LAX employees as well as the entire community with the comfort and delicious meal that they crave. Perhaps you have heard about UberEats, but if not, let us tell you. UberEats is a brand new premium food delivery service operated by Uber that allows you to have freshly-cooked meals from the hottest restaurants delivered to your doorstep within ten minutes of your order, including the Westside and Santa Monica. However, this does not mean that any typical restaurant is available. Rather, restaurants must undergo a strict application process, and only the best outlets are chosen. Criteria for selection are many: the restaurants must be exceptionally clean and healthy, the meals must be of consistent quality and prepared on time, and the restaurants must be able to output between 200 and 300 meals per hour. Even then, many restaurants do not get selected for Uber Eat. Therefore, it is with great pleasure that we hereby announce Benny’s Tacos is one of the newest members of this exciting service. We understand daily life in Santa Monica and LA. Traffic is bad. For those of us that work long hours and hit rush hour traffic regularly, the last thing we want to do is get caught in more traffic, especially Santa Monica traffic! Therefore, we are excited to be able to finally bring our delicious food to your home, allowing you to enjoy great meals without having to take any extra time out of your jam-packed day. Although the meals are delivered to your door, we guarantee they will still be fresh, hot, and amazing in taste. The California Burrito: Would You Like Fries With That? What is it about Mexican food that calls out to California, and specifically Los Angeles? It could be the consistent warm weather (it seems that Los Angeles only has one season: summer). It could be that Los Angeles, with over 40% of all current Angelenos being born outside the U.S., is a massive melting pot of culture. Or, it could be something entirely different. Regardless the reason, Mexican food and Los Angeles share a delicious relationship resulting in a diverse culinary experience nothing short of excellent. This relationship is no better evident than in the California Burrito at Benny’s Tacos. 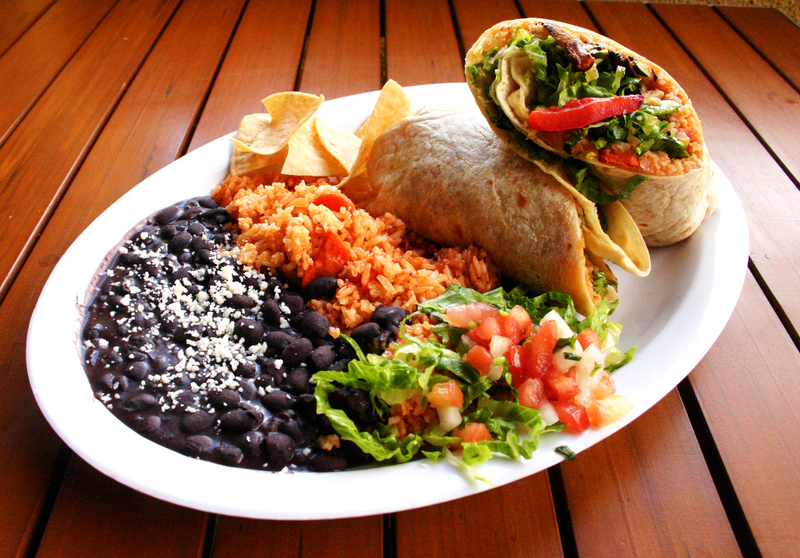 Believed to have originated in San Diego in response to the city’s beach culture and surfers “starving after three hours in the ocean”, the massive California Burrito is indigenous to California and naturally can be found at Benny’s. Our California Burrito consists of tenderly-cooked meat (traditionally carne asada), melted cheddar and jack cheese, fresh guacamole, sour cream, crisp pico de gallo, and steaming hot French fries, all wrapped in a delicious homemade tortilla. Just as the culture of Los Angeles combines many different cultures together, our California Burrito is a perfect example of Los Angeles cuisine. Some people think that California and Los Angeles are not legitimate venues for Mexican food, or they say that California does not serve the most authentic burritos. However, this view is rather antiquated. We believe that the purpose of culinary art is to both honor the past and indulge in the present. Using only the freshest ingredients grown in both Mexico and California, as well the incorporation of French fries, we believe every time we freshly prepare our California Burrito we are infusing the old with the new, combining cultures, and in the process making something we think is really exciting. There is no telling what dishes will follow the California Burrito. That being said, if it is anything as delicious and innovative, we are all in for a treat.